Page 9 and the last page of ‘I Have Decided’. 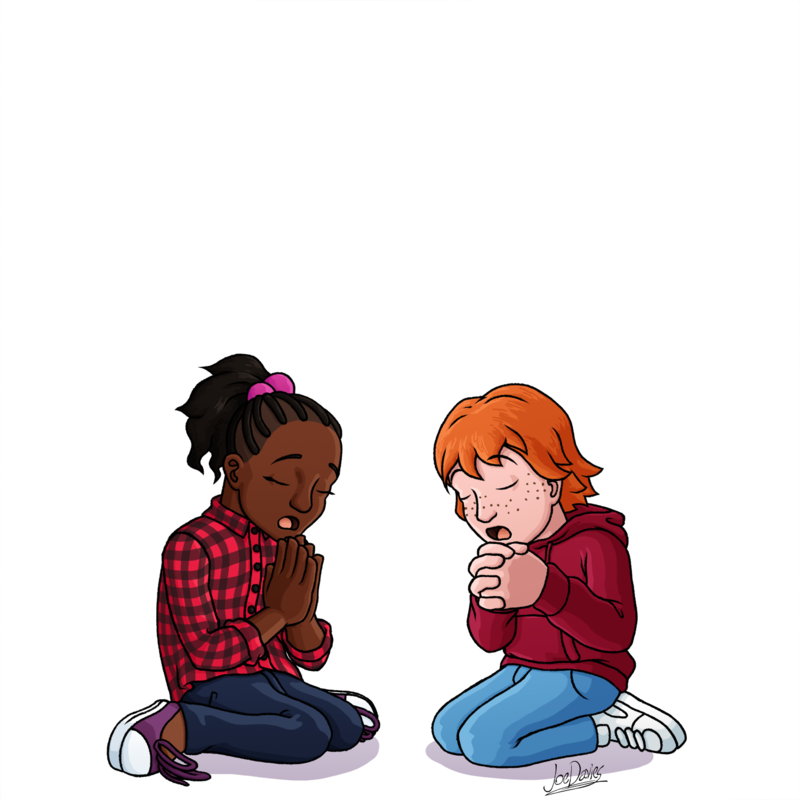 This one need no long explanation; it’s just two kids praying. The reason why most of the image is empty is because it will be accompanied by a few sentences of text, much more than any of the other images in the book. And any background might make the text hard to read, hence why it is just white. Katy Hailes wanted a black girl and redhead boy for this image, which I am glad she asked for, because I love that kind of diversity in this project. She was also very descriptive about what she wanted the kids to wear. I find it kind of odd though that she wanted the girl to wear a checked shirt. Personally, I never seen a girl that wears this kind of clothing, but I was OK with it anyway. I like the weird attire, it makes her stand out more.